During the passage of the Crossrail Bill, the Secretary of State gave a number of undertakings and assurances to Parliament and to petitioners concerning the Crossrail project. These were recorded in an official register, held by the Department for Transport (DfT) known as the Register of Undertakings & Assurances. The process followed the successful template provided by the Channel Tunnel Rail Link project (now known as High Speed 1) during the passage of the Channel Tunnel Rail Link Bill. The register is a list of the commitments given, and to whom. It does not give the detail of each undertaking or assurance, and may instead in some cases simply refer to other documents (such as signed undertakings between the Secretary of State and the third party concerned). The register should be read in conjunction with other documents that together with the Register are part of the Crossrail Environmental Minimum Requirements (EMRs), namely the Construction Code, the Environmental Memorandum and the Planning and Heritage Memorandum. 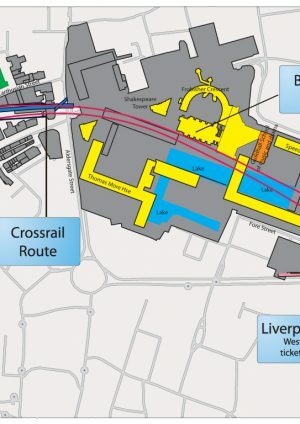 Any organisations that are appointed to construct and maintain Crossrail are contractually obliged to comply with all relevant undertakings and assurances concerning Crossrail through a contract with the DfT, or any body to which the Secretary of State devolves the implementation of the project i.e. organisations that are made the nominated undertaker (or nominated undertakers) under the Crossrail Act. The Crossrail Register of Undertakings & Assurances contains 680 individual entries. When broken down these in turn represent in the region of 3,500 individual commitments. 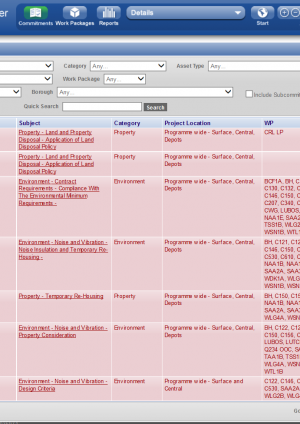 In order to manage and track compliance with all the undertakings & assurances Crossrail developed bespoke software known as the Commitments Delivery Tracker (CDT) and established a procedure under the Crossrail Management System (CMS) governing the processes by which compliance should be achieved.